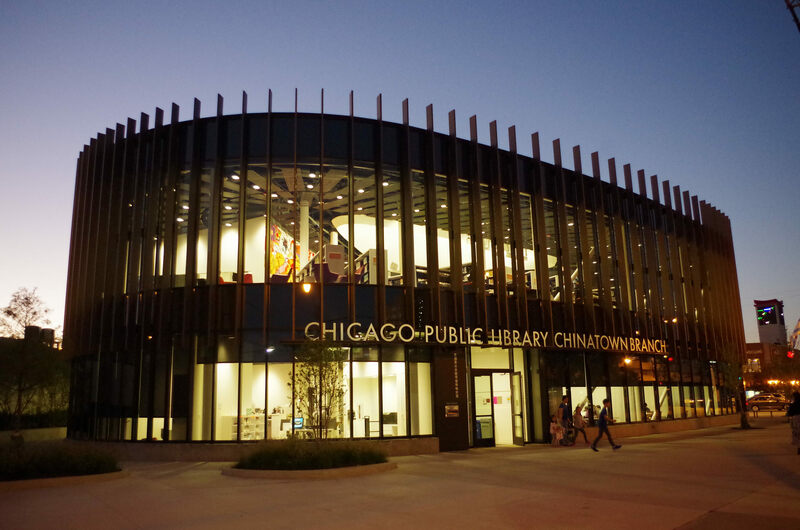 The crown jewel of the Chicago Public Library system, this downtown structure boasts nine floors of books, computer labs, archives and an awesome children’s reading room. 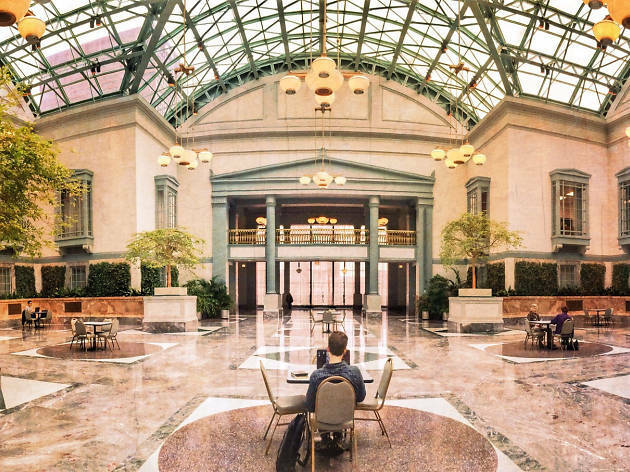 Perhaps its most aesthetically appetizing feature is the glass-domed Winter Garden on the ninth floor. 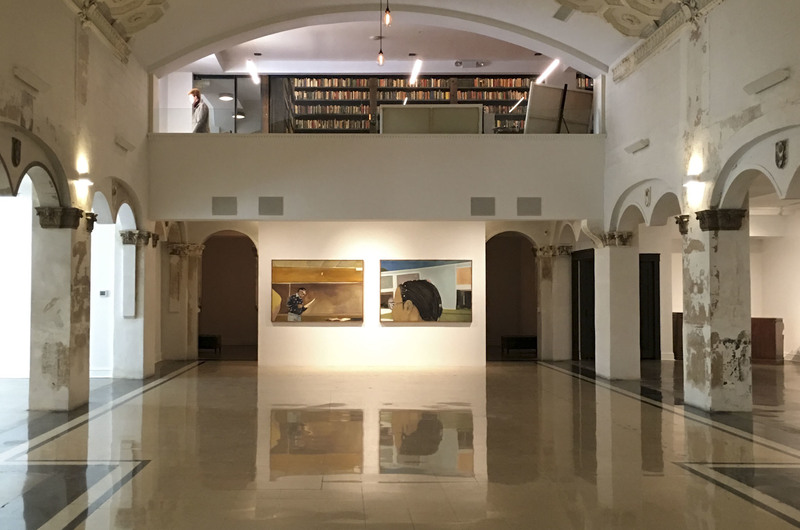 The light-filled room can serve as an event space, an exhibition hall or simply a reading room. The library’s roof features beautiful painted aluminum ornamentation, including owls meant to evoke the Greek goddess Athena. 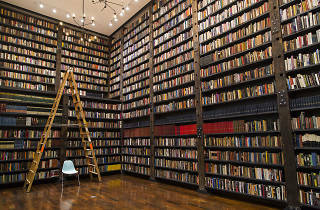 This independent research library was founded in the late 19th century to house archives from Europe and the U.S. The Newberry has a particularly rich and thoroughly cataloged collection of maps and map-related materials, including 19th century atlases. The building also hosts exhibitions, performances, lectures, weddings, workshops and more. 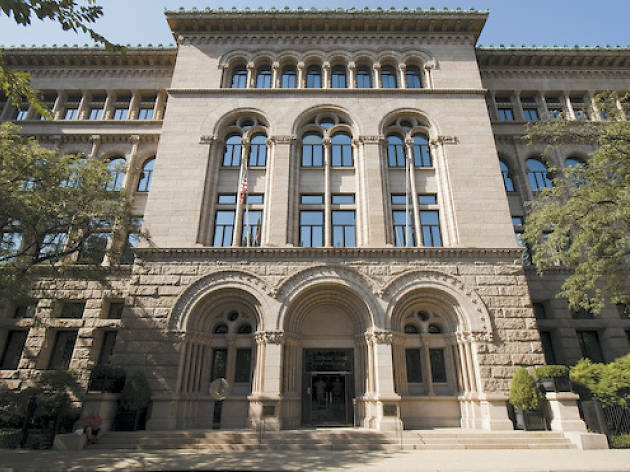 While not part of the Chicago Public Library system, the humanities-focused institute is free and open to the public. 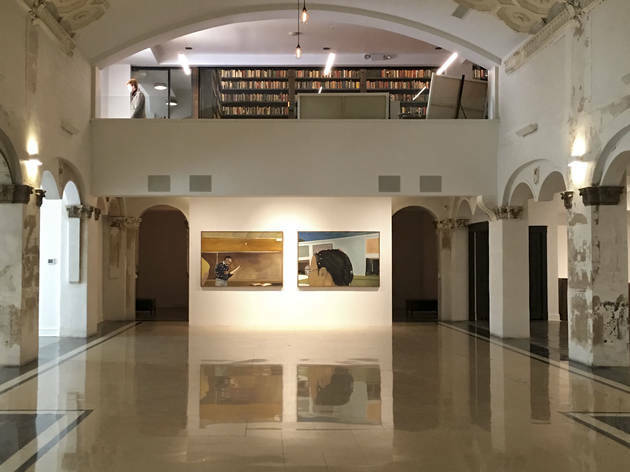 After purchasing the building from the city for $1 in 2012, local artist and philanthropist Theaster Gates turned this long-vacant bank into a cultural institution. 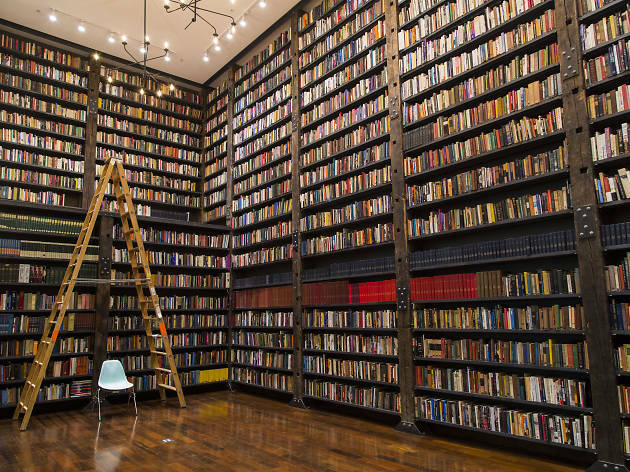 Inside the Stony Island Arts Bank, visitors can browse the archives of Johnson Publishing, flip through house music legend Frankie Knuckle's record collection or view art on display in the venue's ground-floor gallery. Regular events and exhibitions make this South Side spot a must-visit for lovers of art, music and literature. 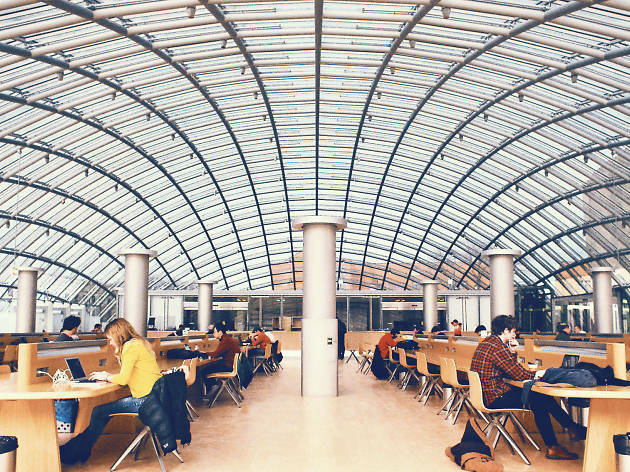 The newest library at the University of Chicago houses 3.5 million volumes under a bubble-like dome in Hyde Park. It was designed by prolific architect Helmut Jahn (who, among many impressive works, also designed the neon light display in O’Hare’s United Airlines terminal). 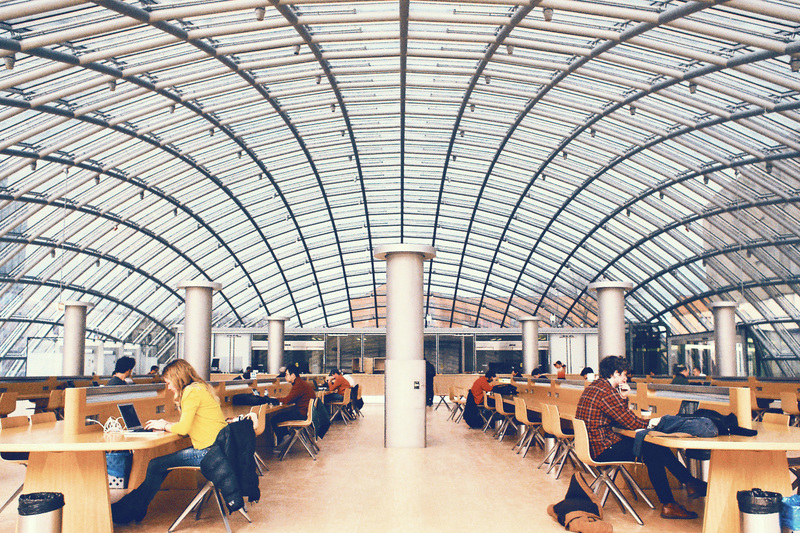 Under the library’s dome is a 180-seat reading room, which is open to the public Monday through Thursday from 8am to 11:45pm, Fridays and Saturdays from 8am to 10:45pm, and Sundays from 10am to 11:45pm. 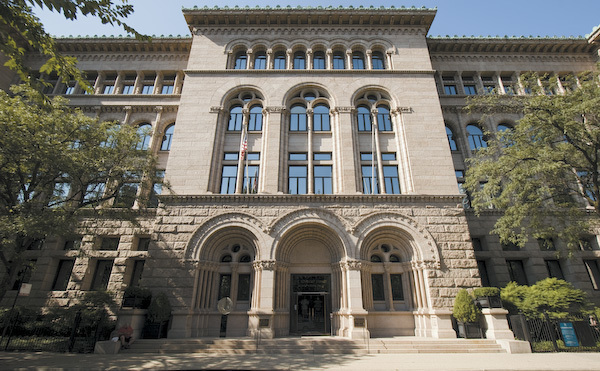 The Art Institue of Chicago's research libraries are as stunning as the artwork inside the museum itself. Though the collection is vast, it largely documents the development of art and architecture in the Midwest from the 19th century to now. The library itself was created in 1879, and in 1900 and 1912 trustees Martin A. Ryerson and Daniel H. Burnham, respectively, each donated $50,000 for the creation of art and architecture libraries. 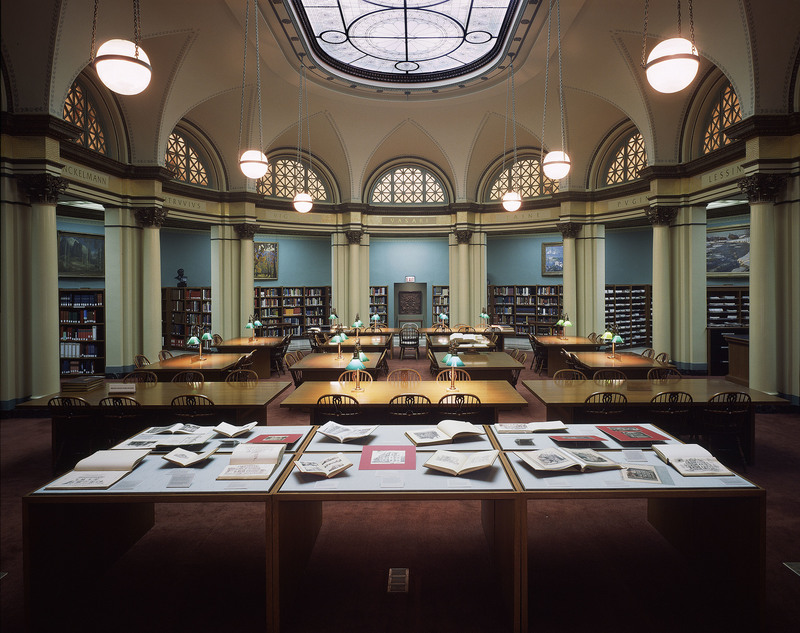 The skylight, which drapes the intimate study in warm hues, was designed by Louis J. Millet in the late 1800s and was fully restored in 1988. 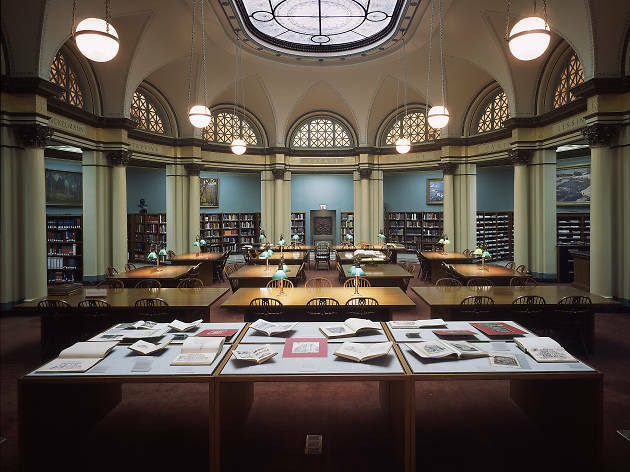 The reading room is accessible to any Art Institute member who is at least a high school-level reader. 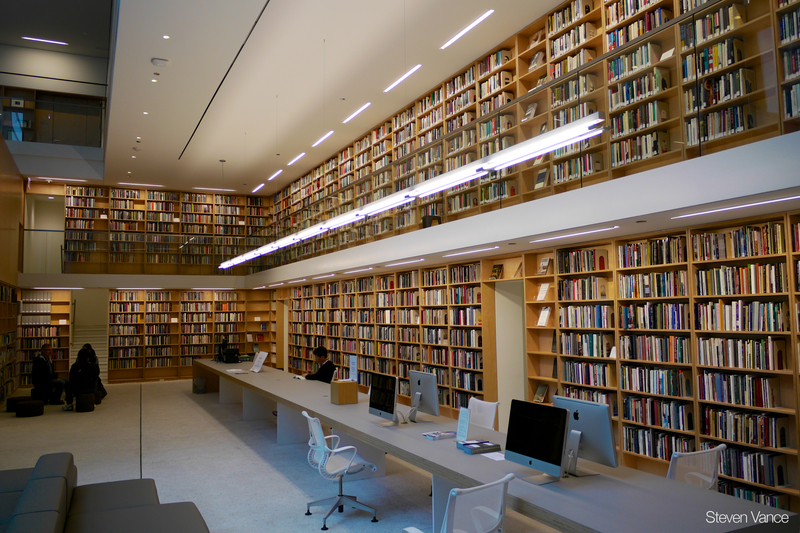 In 2011, the Poetry Foundation unveiled the Poetry Center, designed by Chicago architect John Ronan. 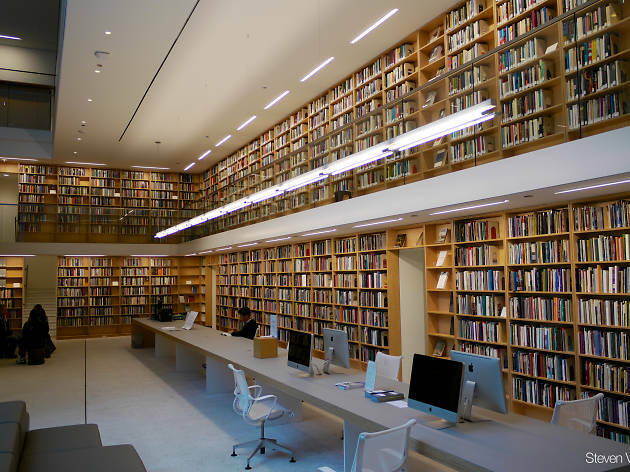 The center includes a library, which boasts an archive of over 30,000 volumes including original author works, audio archives, criticism, anthologies and other poetry-related documents. The library is also the working collection of Poetry magazine, which is published monthly. It’s open to the public Monday through Friday from 11am to 4pm. 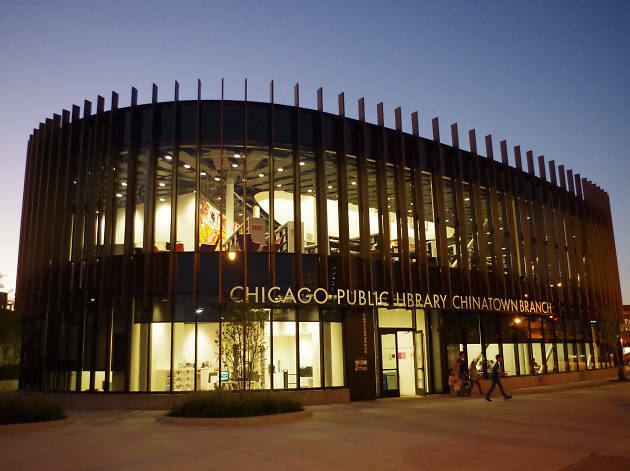 Unveiled in 2015, this South Side Chicago Public Library branch is unlike any other in the city system. It’s 16,000 square feet and features a feng shui-influenced interior and striking views of the Chicago skyline. The branch also includes Chinese language materials and a mural by CJ Hungerman entitled “Universal Transverse Immigration Proclamation,” an ode to the neighborhood’s history and character. Opened in 1904, the Kenwood branch of the Chicago Public Library takes inspiration from Greek mythology, the Athenian Acropolis and the Merchant Tailors’ Building from the Columbian Exposition. Marble columns lead up to the building’s magnificent rotunda, which is topped with a massive Tiffany-style dome. 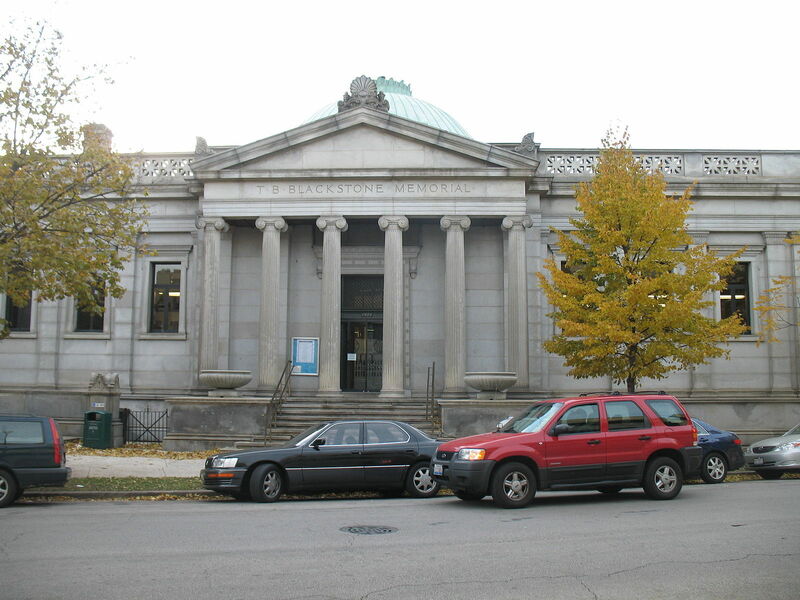 The library was named for Timothy Blackstone, a wealthy Chicago railroad executive and politician. The beautiful building is open daily from 10am to 6pm. 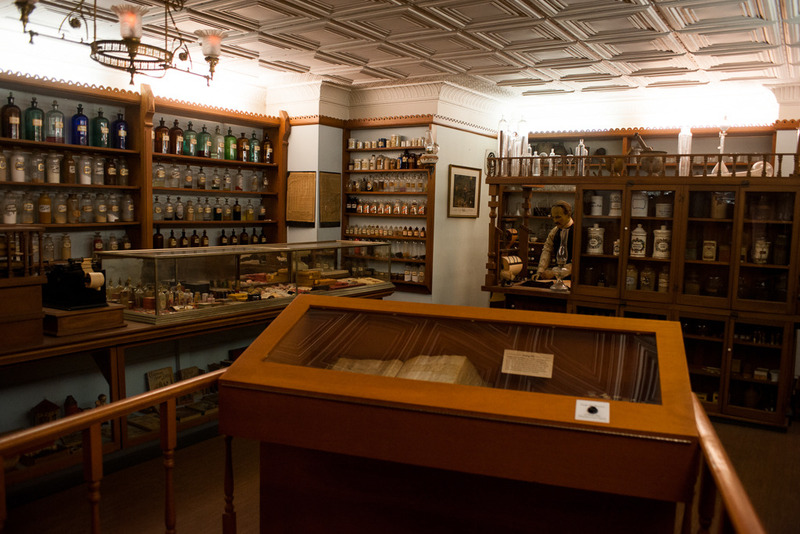 You don’t have to be pre-med to appreciate the strange assortment of surgery-related artifacts at this unusual museum. Shudder at the sight of a 3,000-year-old Peruvian skull drill or the Civil War–era amputee kit. There’s also a working iron lung, a recreated X-ray lab featuring Emil Grubbe’s turn-of-the-century equipment and a gallery space with revolving anatomy- and surgery-related art exhibitions.